The North Pole has long held surprising importance for many of the world’s cultures. Interweaving science and history, this book offers the first unified vision of how the North Pole has shaped everything from literature to the goals of political leaders—from Alexander the Great to neo-Hindu nationalists. 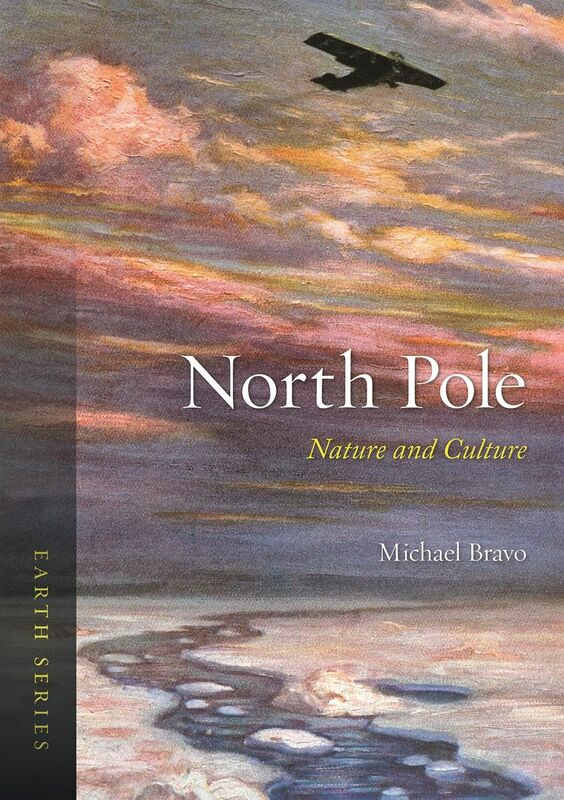 Tracing the intersecting notions of poles, polarity, and the sacred from our most ancient civilizations to the present day, Michael Bravo explores how the idea of a North Pole has given rise to utopias, satires, fantasies, paradoxes, and nationalist ideologies across every era, from the Renaissance to the Third Reich. The Victorian conceit of the polar regions as a vast empty wilderness—a bastion of adventurous white males battling against the elements—is far from the only polar vision. Bravo paints a variety of alternative pictures: of a habitable Arctic crisscrossed by densely connected networks of Inuit trade and travel routes, a world rich in indigenous cultural meanings; of a sacred paradise or lost Eden among both Western and Eastern cultures, a vision that curiously (and conveniently) dovetailed with the imperial aspirations of Europe and the United States; and as the setting for tales not only of conquest and redemption, but also of failure and catastrophe. And as we face warming temperatures, melting ice, and rising seas, Bravo argues, only an understanding of the North Pole’s deeper history, of our conception of it as both a sacred and living place, can help humanity face its twenty-first-century predicament. "At the start of his book, Bravo promises to 'treat the mysterious power and allure of the North Pole in a way you will not have seen before.' It is a promise he fulfills in North Pole, a narrative that avoids the usual histories of exploration. His mission is to chart the layers of meaning that the pole has accumulated in our minds and that motivates the explorers who try to reach it. . . . Bravo has written a rich and insightful book about our ideas of the pole. Although his focus is the North Pole, it left me thinking about the stories we all tell ourselves in our everyday lives." "Rather than plunge into discussions of climate change or accounts of famous expeditions, Bravo chooses to begin his fascinating book by exploring the differences between Greek and Inuit attitudes to the Pole Star and explaining the relationship between celestial and geographical poles. . . . A learned, congenial guide, he is imaginative enough to recognize the importance of mythologies and traditions, together with subtle aspects such as trust (‘why a group of travelers from a particular culture will choose to trust their lives to a bearing based on the position of a fixed star’)—and he writes well. For anyone planning a quick visit, North Pole features beautiful illustrations, but there are real rewards for those prepared to go all the way." "Until a little more than a century ago, no one had actually visited the North Pole. That did not stop natural philosophers, armchair geographers, novelists, and others from speculating about it. In North Pole: Nature and Culture, Bravo . . . discusses the 'mysterious power and allure' of one of the most inhospitable places on Earth. His ambitious text begins with the study of astronomy and the North Pole Star by early peoples such as the Inuit and the ancient Greeks, and then moves on to Renaissance polar maps and globes, the development of navigation by magnetic compass, polar expeditions, and a discussion of the North Pole as a literary and narrative device that has inspired numerous works of fiction and political satire. The slim, 254-page volume is nicely illustrated with more than one hundred paintings, engravings, and photos." Jerry Brotton, Queen Mary University of London, author of "A History of the World in Twelve Maps"
"In North Pole, Bravo shows how one of the most inhospitable places on Earth has played a central role in cultures from the Inuit and ancient Greeks to the great nineteenth-century polar explorers and today’s environmentalists. It is an utterly unique piece of cultural history. . . . Bravo’s erudition is extraordinary, as is his fluent, accessible, and witty prose . . . As he observes at the end of this tremendous book, there are no visas required at the North Pole; it is the ultimate point of transnational cooperation and hope for our common futures. This is connected history at its finest; a wonderful achievement." Adriana Craciun, Boston University, "Writing Arctic Disaster: Authorship and Exploration"
"Bravo’s original study rediscovers an astonishing history of how the North Pole has been imagined and pursued across centuries and diverse cultures. From Inuit cosmography to Renaissance poetry, through Neoplatonic mathematics, mysticism, naval sciences, and ethnonationalism, Bravo uncovers the strange contours and multiple identities that continue to give the North Pole such magnetic charisma today."